Not for Moore, they’ve gotta have some other good players that we could nab over there one would think. 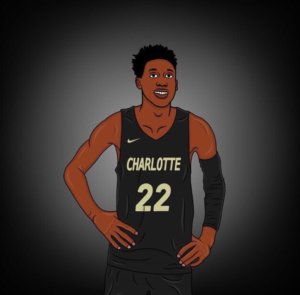 Rechon Black already going to UNC-CH. The Carawell kid may not fit our roster as of now with Bigelow, Mangum and Younger coming in. I see a pg and some posts being main priorities at this point. Wings look solid, though young. Wouldn’t that be a great pair to sign to start your head coaching career ?!?! P. WIlliams and Withers ! Couple seasons we’d be talking about another new head coach, cause Ron would be moving on ! Bring in Braswell this year along with Younger, things start to really looking fun to watch. They need a spot to open up first. Edit: Didn’t see 2k’s post, but he’s right. Oh, I definitely think the honeymoon period ends soon and we have some departures. I’d be pretty remarkable to not lose anyone from current roster with a coaching change. I get what you’re saying 2K, but when has enough time passed that staying is the only option? Feels like kids would have decided either way by now, no? Many players don’t announce until June, once the frosh arrive on campus and start workouts. We could be waiting for grades to be posted before announcing transfers or granting releases. Bingo. We normally require that they leave us in good academic standing so we do not take an APR hit. We incent them to keep going to class by allowing them to continue working out in our weight room and gym until they leave. Kentucky sophomore Sacha Killeya-Jones has asked for his release to transfer…was committed to UVA before he switched to UK. Could see Sanchez being very interested although I’m sure many will be. Yeah, have to imagine there will be a long line of folks here interested, perhaps UVA will even pursue him again. Maybe Sanchez had a good relationship with him before Coach Cal paid him ?! Sanchez was his lead recruiter at UVA. Carrawell’s dad has been promoted to being an assistant coach at Duke after Capel’s departure.